Welcome back friends and “Hi” to new readers! I have been absent from the cyberworld of blog posting for awhile! Change in our business life, change in season, and change in our climate are all coinciding to make life more challenging, and thus more hectic! To start with, our business partner, and close friend passed away in July following a short but gruelling battle with cancer, resulting in my husband, Paul, becoming the sole proprietor for our business. Paul is now responsible for managing two garages, and sixteen employees, as well as handling accident investigations for the RNC, the Royal Newfoundland Constabulary, along with his volunteer services in Ground Search and Rescue – GSAR. The fallout for me is that I have inherited the A/P and A/R posting as well as other various and sundry duties that were handled by our departing administration officer, wife of our former partner, while handling the HR duties, payroll and financial administrative duties for the whole business. Our business life has become ever more hectic and stressful, and plans for semi-retirement have flown out the window! Speaking of stuff flying out windows, what the heck is going on with our weather? I have lived all of my life on this rock, surrounded by the North Atlantic Ocean, and despite the fog, and oft-crappy weather, we have never been subject to hurricanes, tornados, and earthquakes, or other catastrophic climatic or geological events. I have never been a great believer in man-induced climate change. I have always thought that the changes in climate were more a natural phenomena, based on the evolution of the planet and that human-kind was to the earth, an infestation of pesky bugs that could be easily cast off with another ice age, scourge, or collision with a random colossal meteorite. The intensity of our weather systems, over the past few years, have definitely changed. Hurricanes, developing in the tropics, are now some of the most intense ever seen, and are tracking further north up the Atlantic seaboard, still packing a wallop. Systems that used to dissipate into what is termed “tropical storms”, once they encountered our colder waters, are now making landfall on our rocky coasts and causing devastating damage. We have seen tornados and have felt the effects of tsunamis resulting from earthquake events happening out under the ocean floor. While most of these events have not had the catastrophic effects of those experienced in other parts of the world, it is becoming clear that our days of living, unsusceptible to these geological and climactic changes, are over. This certainly brings about feelings of unease. 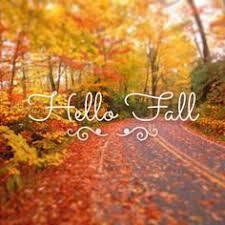 Last Friday, the 22nd of September, marked the fall solstice, a time when the warm summer days fade into fall. It is in a sense, the season of dying, or at least, going to sleep. I used to always enjoy the season, with nature going out in a blaze of glory, but with the changes in our lives, and the feelings of unease, approaching hurricane season, along with the soon-approaching daylight savings time changeover, fall is no longer a season I look forward to. Last winter is not too long past to be forgotten, with forty-plus-centimeter snowstorms, seemingly endless dark, and cold that lasted right up to May. Winter is also not a season I look forward to. Many say “change is good” and for the most part, that seems true. While very often uncomfortable and unwanted, change is inevitable. We either adapt, or go the way of the dinosaur. The challenge is in making the most of the change and preparing ourselves for what the new challenges bring. It can be exciting, or a source of stress and fear. Each of us has it within us to choose. Dank für Ihre Untersuchung. Um Ihre Frage zu beantworten, verwende ich nicht Anschlagbretter, aber ich gebe zusätzliche Blogart Beiträge auf meiner Autor facebook Seite bei Norma Cook, Autor bekannt. Diese Website kann eine sein Spaziergang – über ganze Informationen Sie wollten über dies und wusste nicht, wen Sie fragen. Glimpse hier , und Sie ‘ zweifellos uncover es. Vielen Dank für Ihre Unterstützung! Weitere Beiträge auf meiner Facebook-Seite, Norma Cook, Autor.